I sat across the desk from Jake, who was almost in tears. He had amassed over $200,000 in private student loan debt to get an unmarketable bachelor’s degree from a private university. He was working a minimum-wage job, living at home with his parents, and he had not made a single payment on his student loans, all of which his grandmother had co-signed on. Embarrassed about destroying his grandmother’s good credit and trust, he had not spoken to her in almost a year. I saw this in Jake – he was completely discouraged and disheartened. I could feel his pain and anguish as he faced the future. While Jake’s example is extreme, it illustrates a point: People don’t understand student loans! Think about it for a minute – there are at least five different federal student loan products (and that doesn’t include private loan options); nine different payment plant, some that base your payment off the total amount borrowed and some that base your payment off your income and family size; options for delaying payments; forgiveness programs; multiple loan servicers; consolidation; default provisions and much more. No wonder students and their parents are confused! This is the book that all student loan borrowers need. 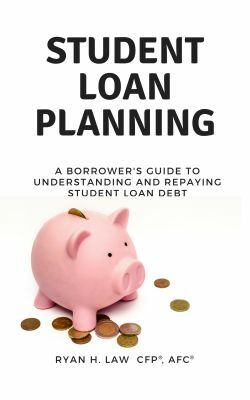 This short, easy-to-read book will give you a baseline understanding of student loans. We will review how to minimize student loans, types of loans, repayment plans, delinquency and default, forgiveness programs, and strategies to pay off debt as quickly as possible. 1. How can I keep the cost of college low? 2. What is federal student aid and how do I get it? 3. What type of loans are available? 4. How much financial aid can I get? 5. How much should I take out in student loan debt? 6. What are additional options if I don’t get enough in federal student aid? 7. How do I access information about my student loans? 8. What is the interest rate on student loans? 9. Can I prepay my student loans? 10. What repayment options are available? 11. Can I switch repayment plans? 12. How do income-based repayment plans work if my income is below the poverty line? 13. I have heard I can reduce my payments if I file Married Filig Separately (MFS) Is that true? 14. What is the best repayment plan? 15. What is loan consolidation and when should I consider it? 16. Does it ever make sense to refinance federal loans into a private loan? 17. Is student loan interest tax deductible? 18. Can I make my payment with a credit card? 19. What is Public Service Loan Forgiveness (PSLF)? 20. What is teacher loan forgiveness? 21. Are there other opportunities for my loan to be forgiven, cancelled or discharged? 22. Can student loans be discharged in bankruptcy? 23. What should I do if I am having trouble making my payments? 24. What is student loan default? 25. Are there other opportunities to get out of default? 27. Who should I contact if I need help? I'm an award-winning educator who is passionate about simplifying personal finance so you can improve your financial well-being. I hate spam as much as you do. I will NEVER sell, rent or give your information away or send you spam. If you want to unsubcribe in the future I make it easy for you to do so. 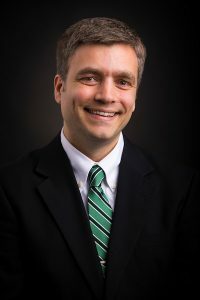 Ryan H. Law, CFP, AFC Copyright © 2019. All rights reserved.